1, Operating temperature: -40 oC -60 oC. 2, Environmental Humidity: 95% at 40 oC. Mechanical seal: Excellent sealing performance,reusable. Protection grade is IP 65. 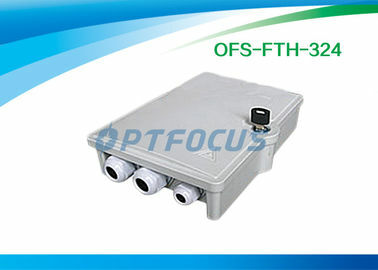 Series of FTTH products, passive splitter, professional terminal box with many new utility model patents. Box and key design is easy for operation with complete functions of small size. Splitter distribution, 8-type or Φ3 cable protective consistency can be achieved less than Φ12 cable termination. 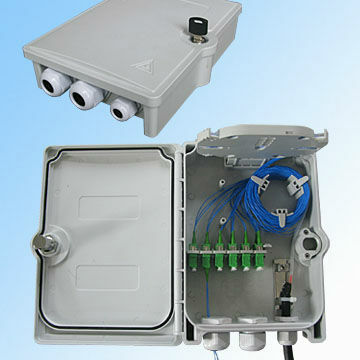 Can be installed 1:8 SC or 1:16 LC minitype splitter with SC(double core) or LC(four core) adaptor. Maximum for LC is 24 core, for SC is 12 core.